Ferne Hildred Deaver, daughter of John Sumner Deaver and Ada Belle Manroe, was born Oct. 29, 1896 in Lenox, Taylor Co., Iowa and died Aug. 28, 1979 in Sharpsburg, Taylor Co., Iowa. She was a twin of Flossie Mildred Deaver Pennebaker.She married Samuel Harry Pennebaker Feb. 14, 1917 at Lenox, Taylor Co., Iowa. He was born June 20, 1892 near Eden, Illinois, son of Doris Samuel Pennebaker and Lida Isabelle Souder, and died Feb. 12, 1987 in Lenox, Taylor Co., Iowa. 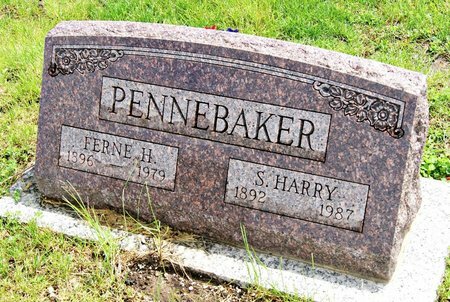 Searching for FERNE HILDRED DEAVER PENNEBAKER in Taylor County Iowa?